We are happy to announce the start of spring shipping to Walmart stores! Shipping to Tennessee, Kentucky, West Virginia, Virginia, Ohio, Missouri, North Carolina, Maryland and New Jersey. Expected arrival between April 11 -15th. Click below for Walmart stores listed above. Stay tuned for more shipments and emails! Remaining Central states will continue to ship throughout April. Northern states will most likely ship in May. Shipments to Georgia, Mississippi, Tennessee, South Carolina and North Carolina arrived April 3rd - April 8th. Click below for Walmart stores to listed above. Stay tuned for future emails to possibly more cities in South Carolina, North Carolina. Remaining Central states will continue to ship throughout April. Shipment to Arkansas arrived March 28- April 1st. Click below for a full list of Week 1, 2 and 3 stores! Each store receives only one shipment per season! They sell out fast, hurry to your local Walmart! This is a one-time shipment to the stores in the link above. Look for future emails for our next round of shipments going to central and northern states. Future shipments will include central and northern states April - May. Stay tuned for future emails to come! Winter/Spring shipping season for 1yr old bareroot and dormant trees will begin on Monday January 28th through late April. Tentative shipping season for 1yr old trees that are shipped via UPS ground by USDA plant zones and weather. Use the link below to plug in the zip code where you will be planting for specific plant zone. You can join our email list to receive a list of retail stores and locations for 3 gallon and 7 gallon trees. At this time we do not have confirmed store locations or shipping dates. 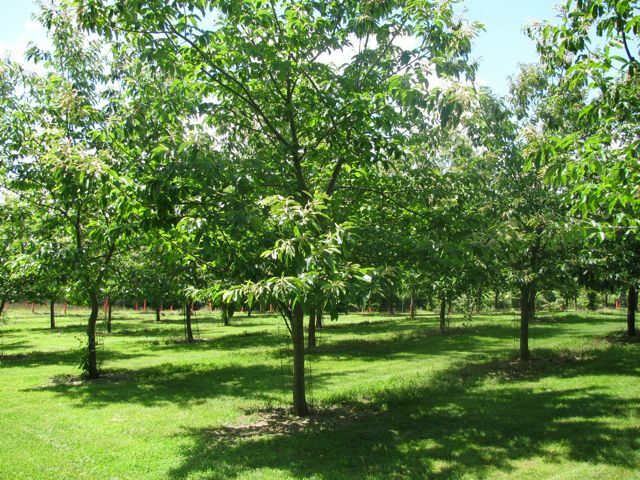 We ship 1yr old trees by UPS Ground for during the Spring and Fall according to your USDA plant Zone and the weather at the time. Tentative Spring Shipping Schedule *Note all 1yr old trees are shipped bareroot and dormant. Tentative Fall Shipping Schedule * Note all 1 yr old trees are shipped non-dormant in a container with leaves. We do not recommend shipping/planting to zone 5 in the fall.